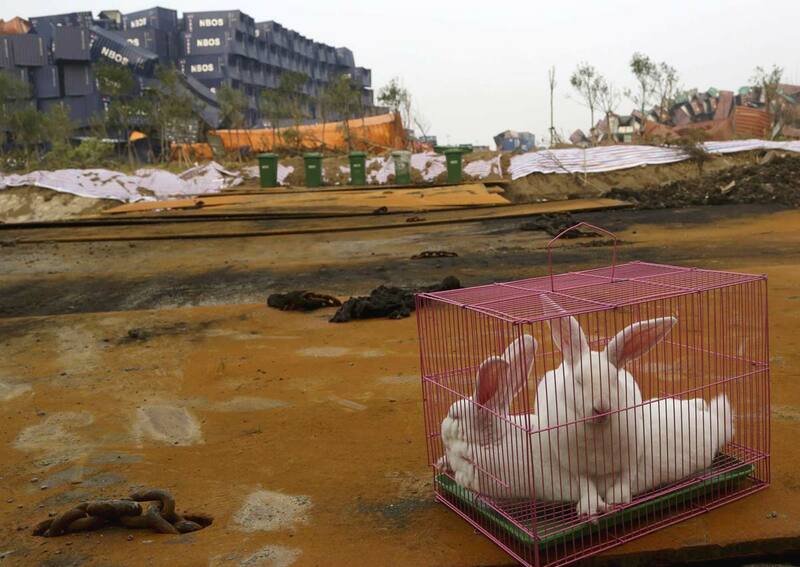 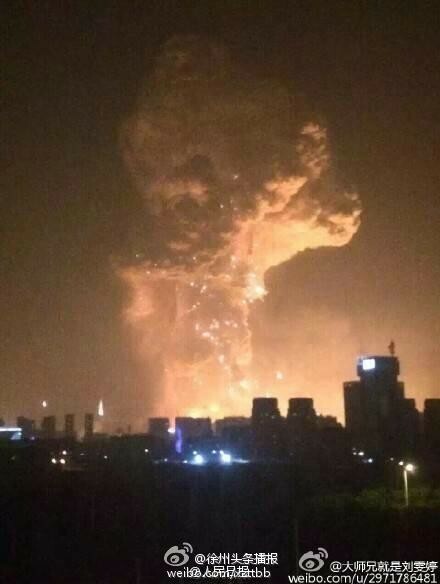 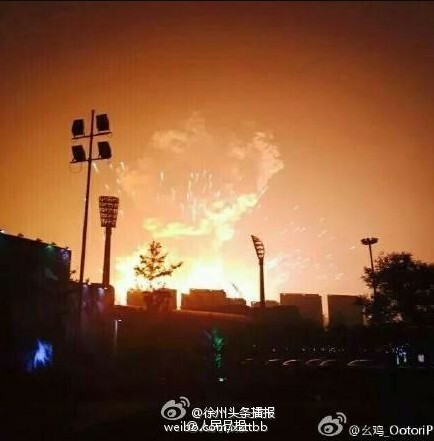 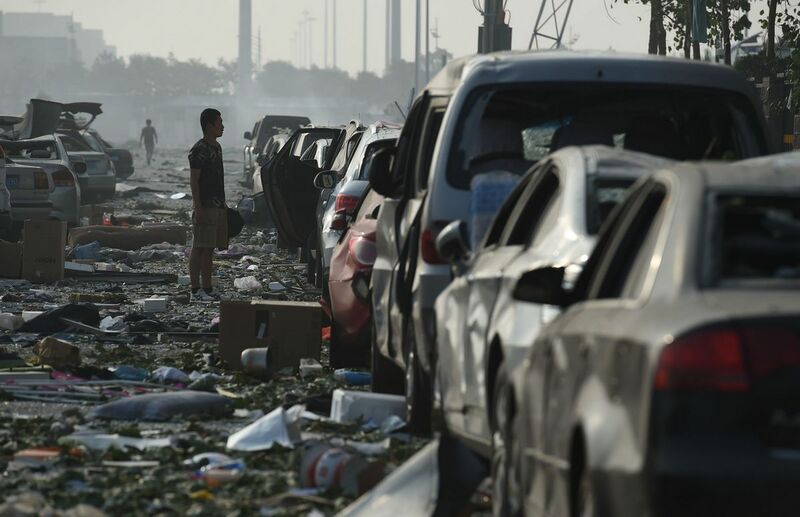 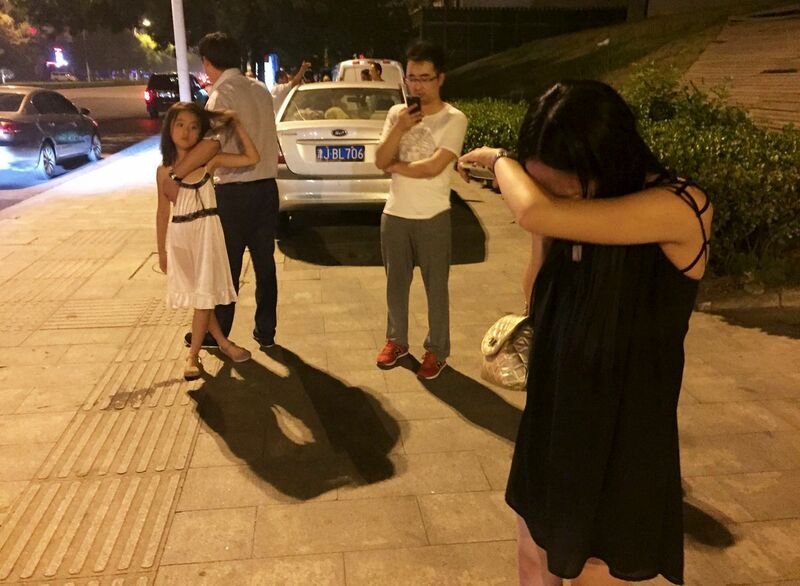 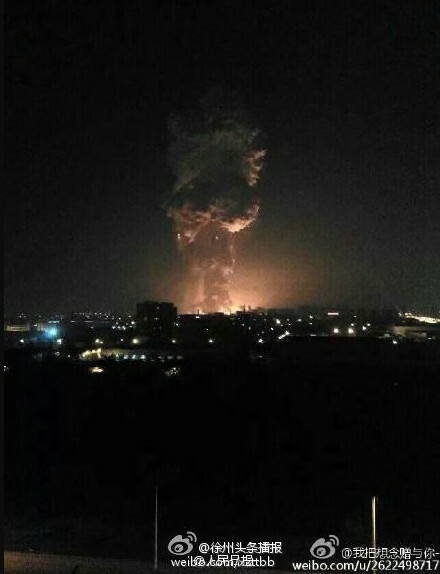 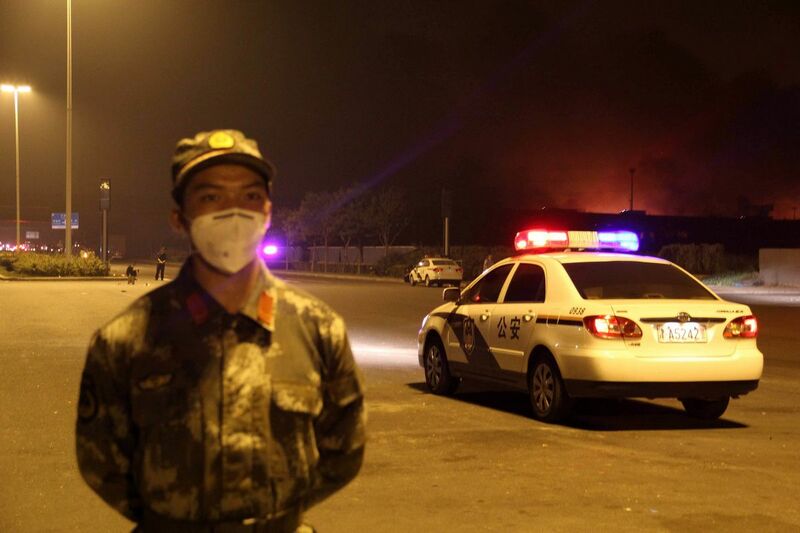 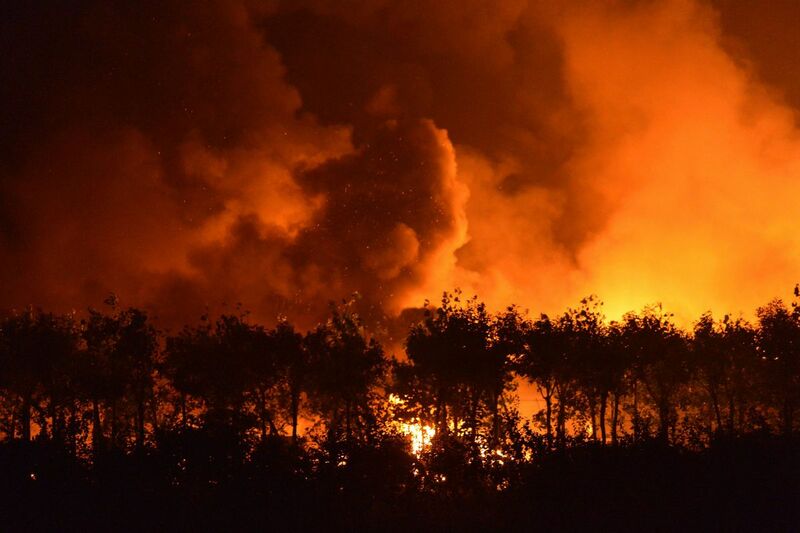 TIANJIN, China - A series of enormous explosions at an industrial area in the Chinese port of Tianjin killed at least 44 people and injured more than 500, state media reported Thursday, unleashing a fireball that ripped through the night sky. 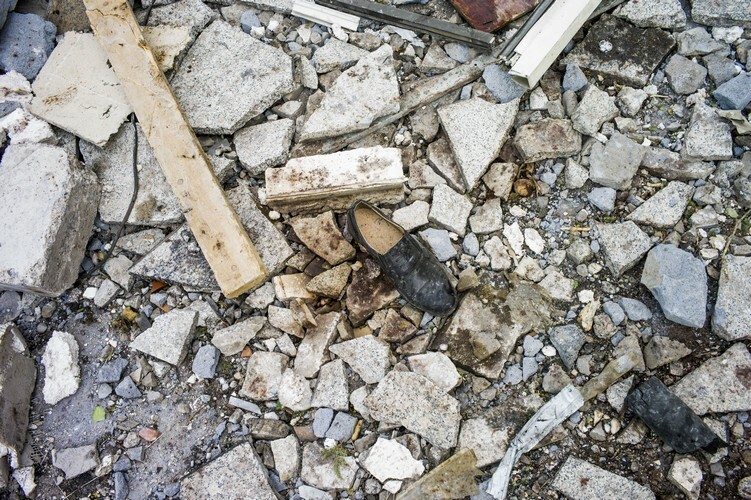 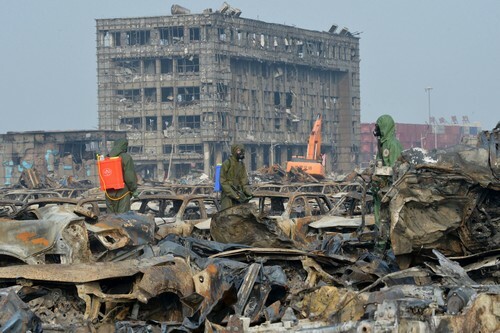 An AFP reporter at the scene saw shattered glass up to three kilometres (two miles) from the blast site, after a shipment of explosives detonated in a warehouse, raining debris on the city and starting huge fires. 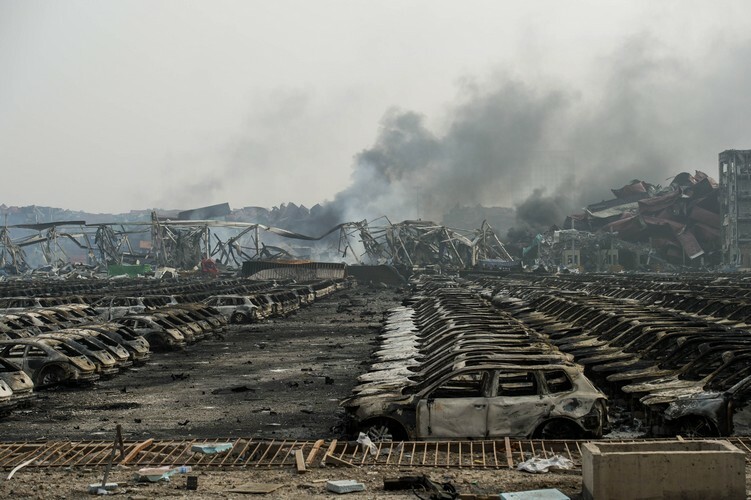 Images showed a monumental blast soaring into the air, walls of flame enveloping buildings, ranks of burned-out cars, and shipping containers scattered like children's building blocks. 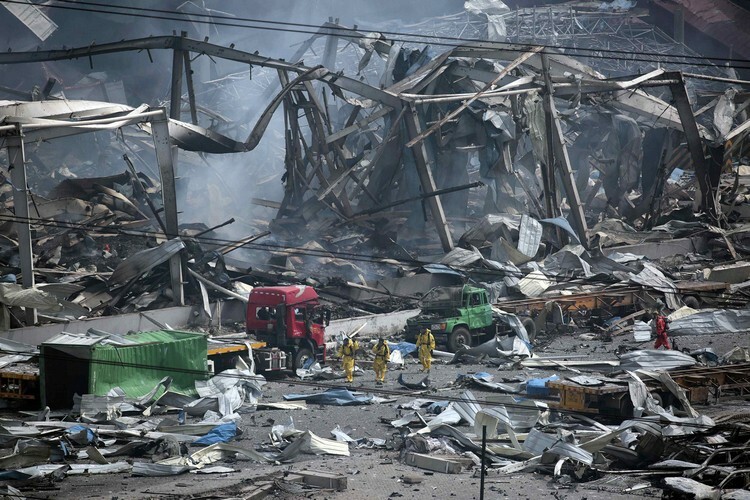 Paramedics stretchered the wounded into the city's hospitals as doctors bandaged up victims, many of them covered in blood after the impact of the explosion was felt for several kilometres, even being picked up by a Japanese weather satellite. 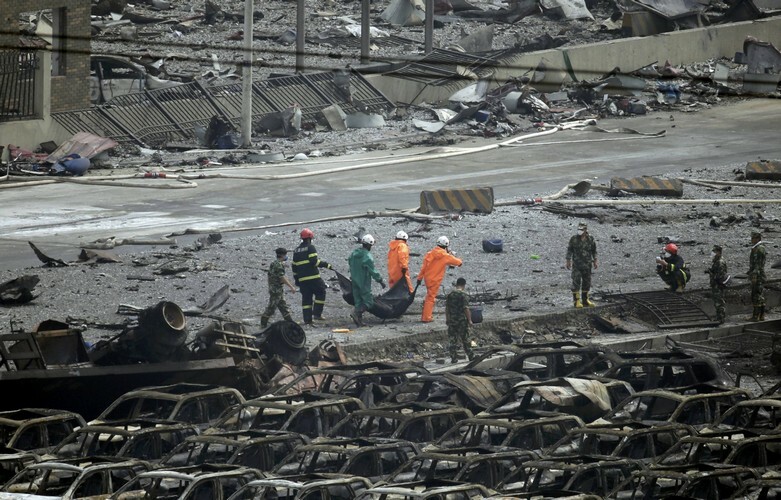 Citing rescue headquarters, the official Xinhua news agency said 44 people were killed, including 12 firefighters. 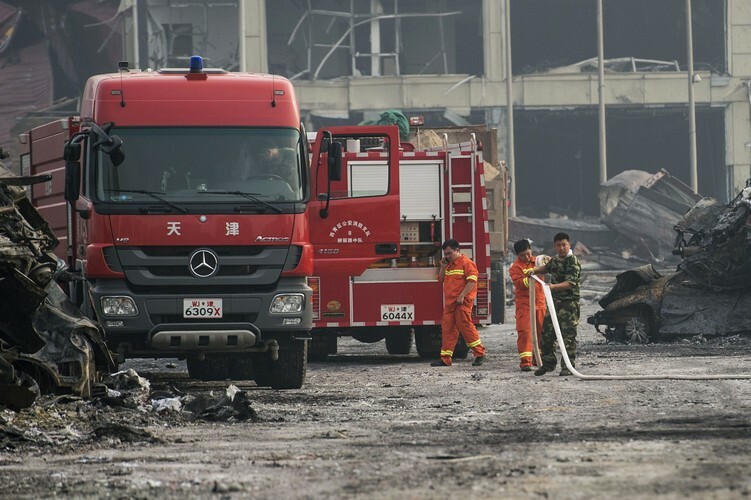 Scores of firefighters were already on the scene before the explosion, responding to reports of a fire, and at one city hospital a doctor wept over the remains of a firefighter still in uniform, his skin blackened from smoke, as he was wheeled past, along with two other bodies. 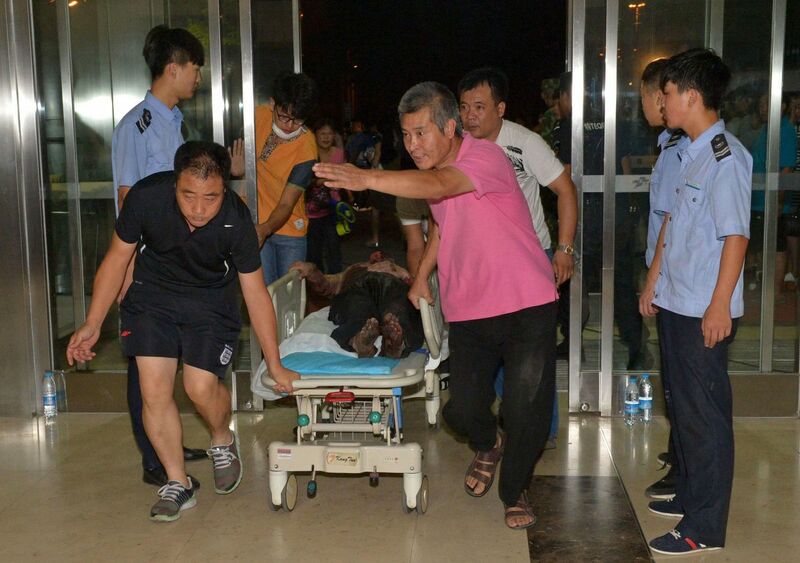 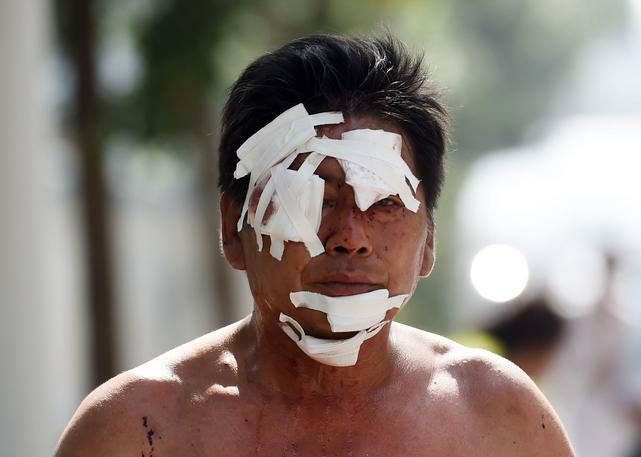 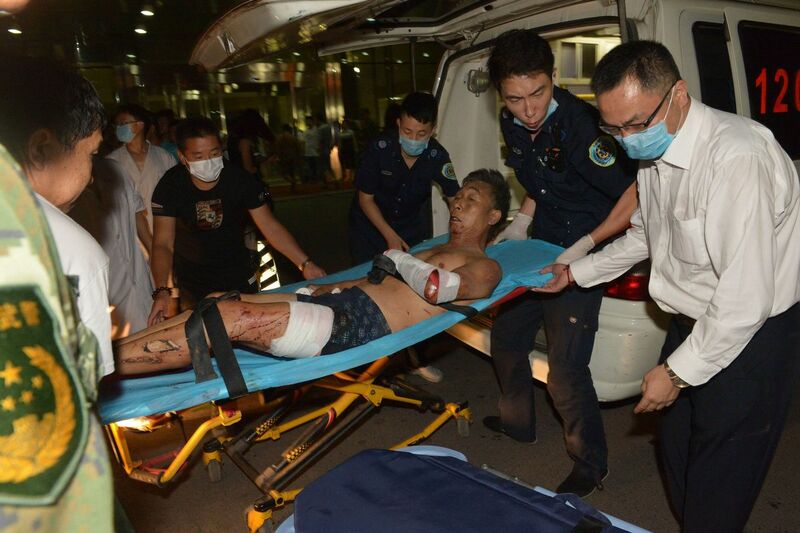 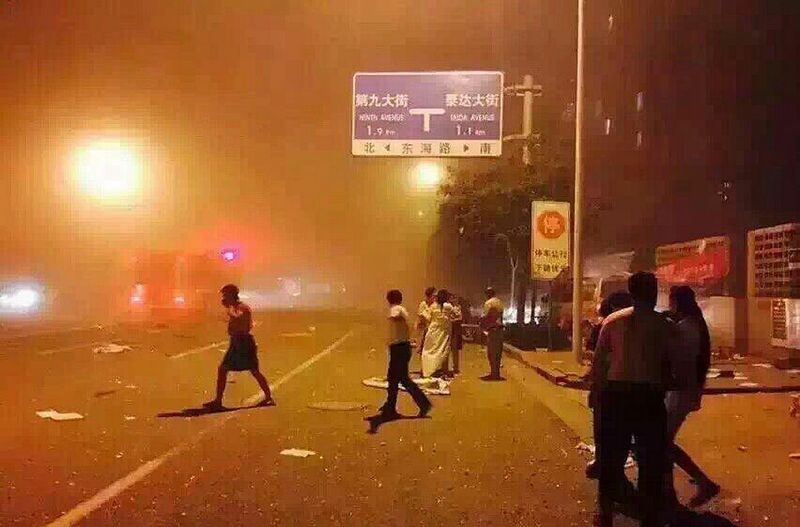 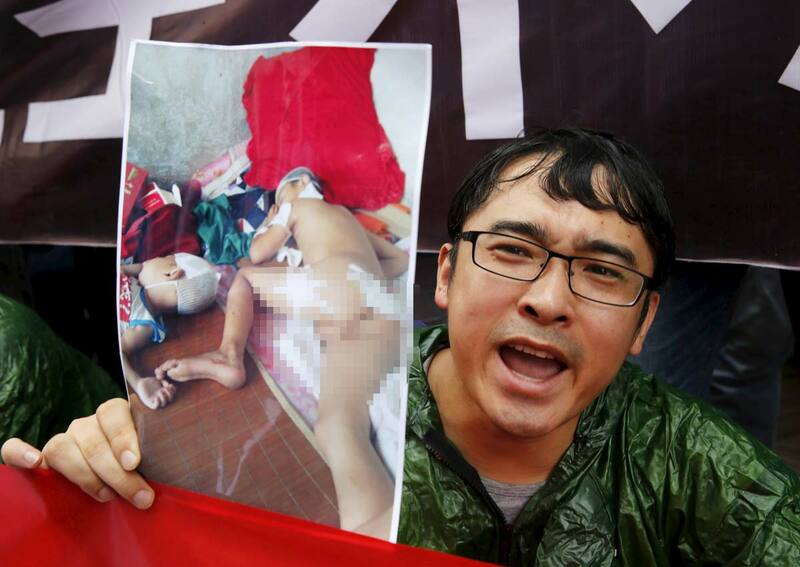 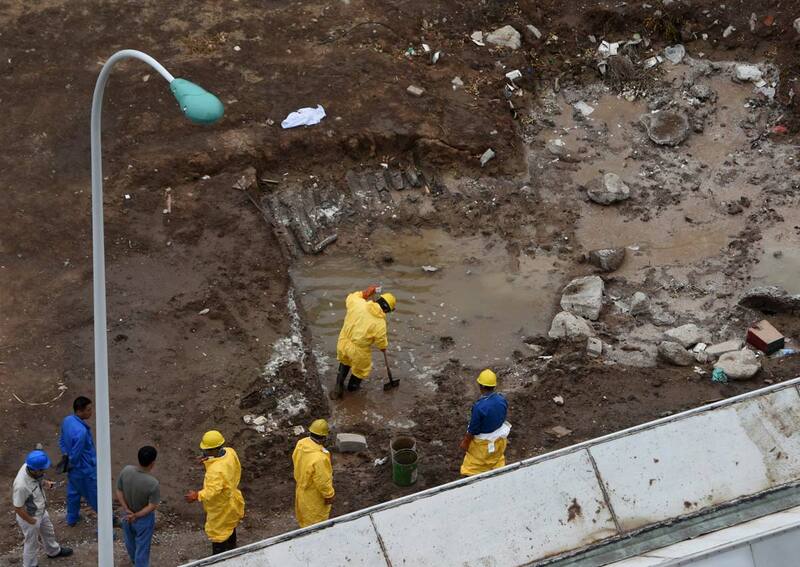 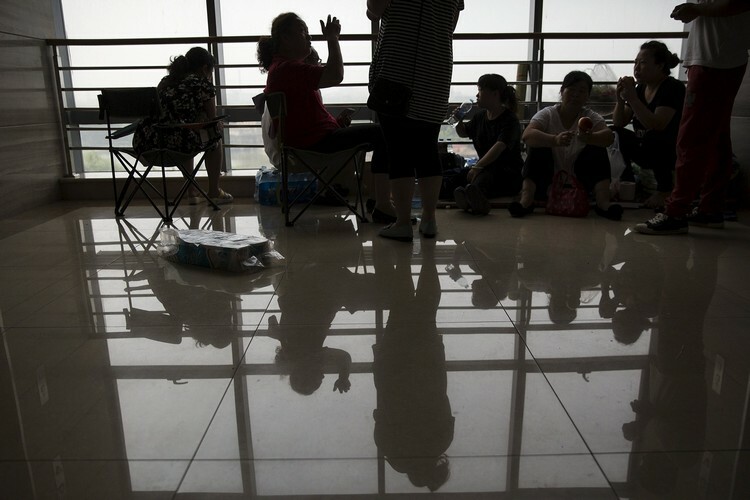 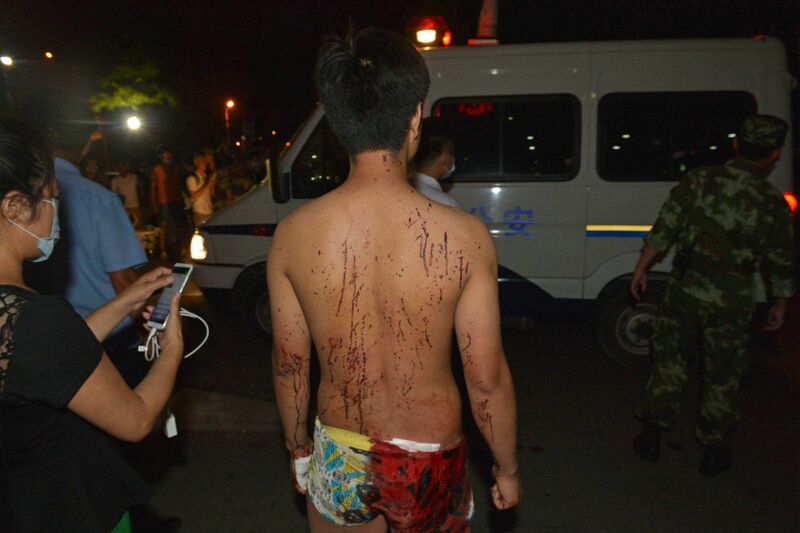 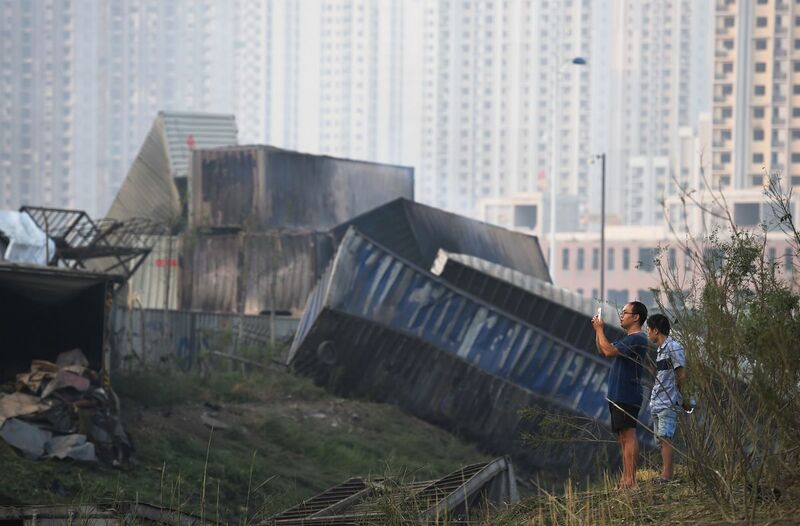 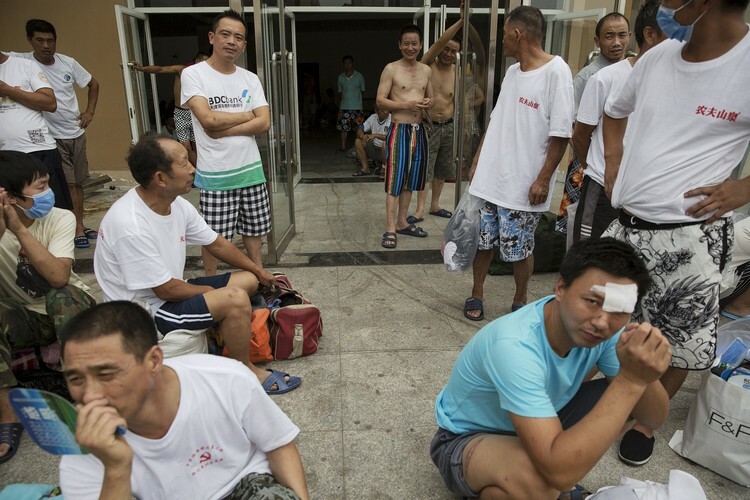 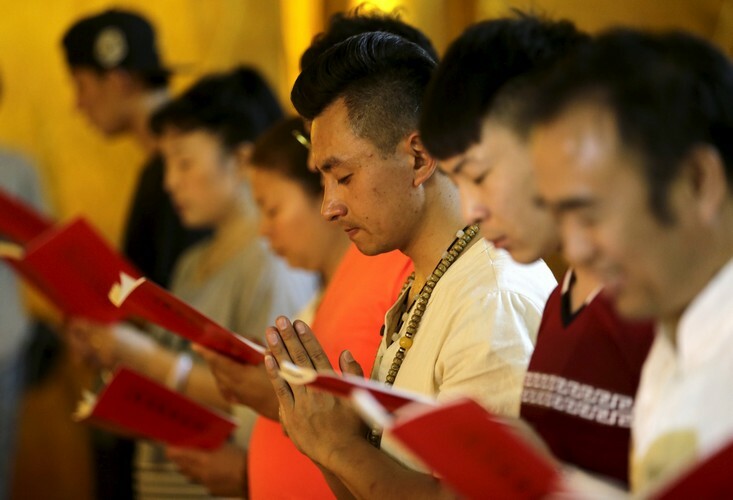 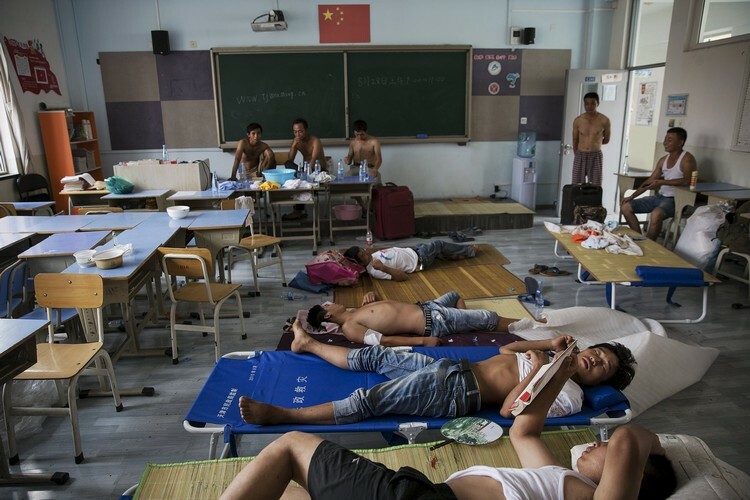 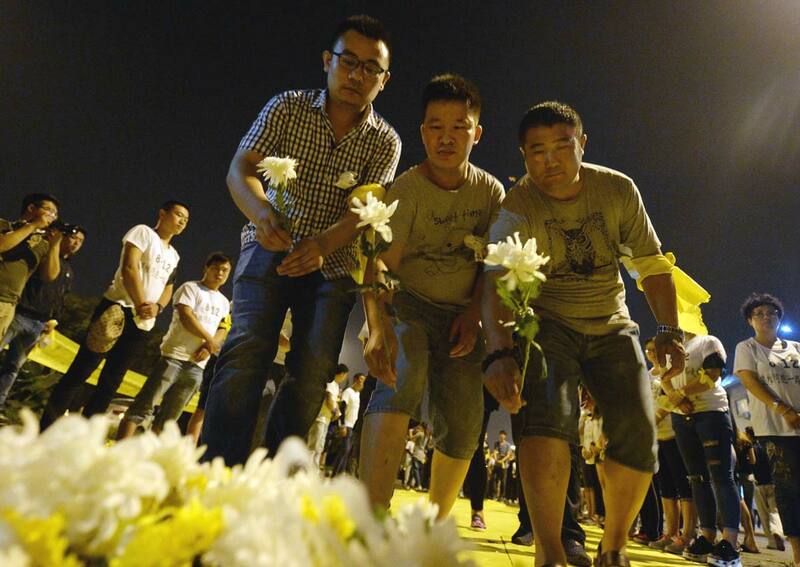 Xinhua said 520 people had been hospitalised, 66 of them in critical condition. 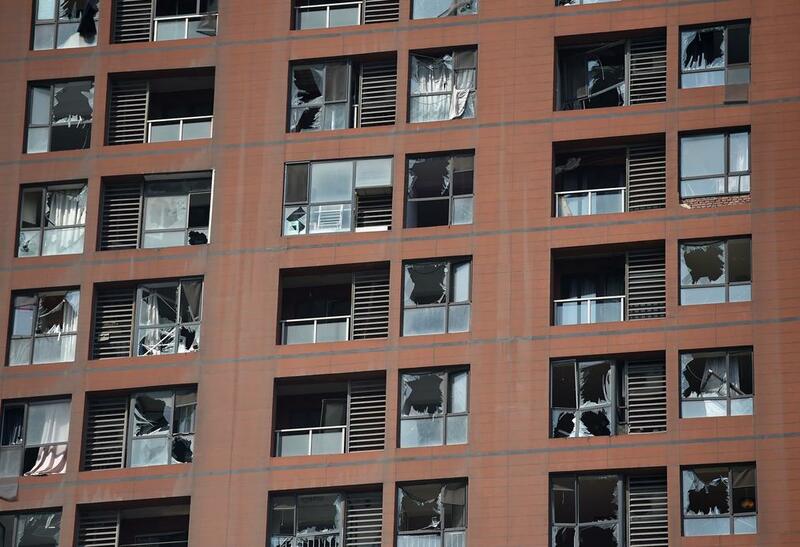 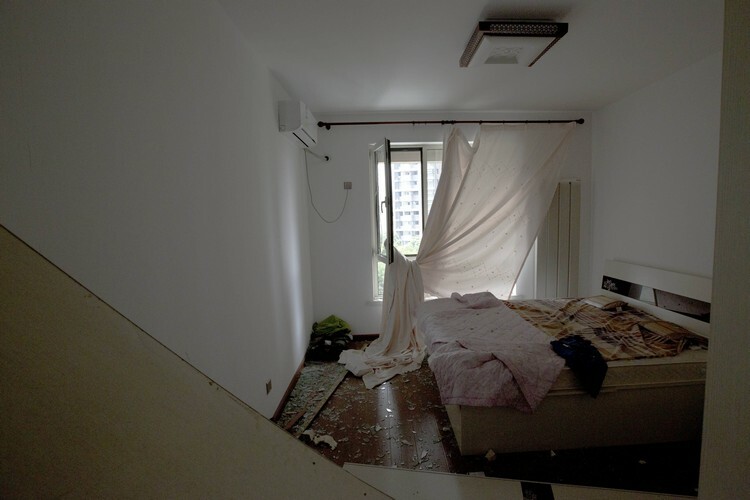 All the windows of her home and the door were destroyed in the explosion, she said. 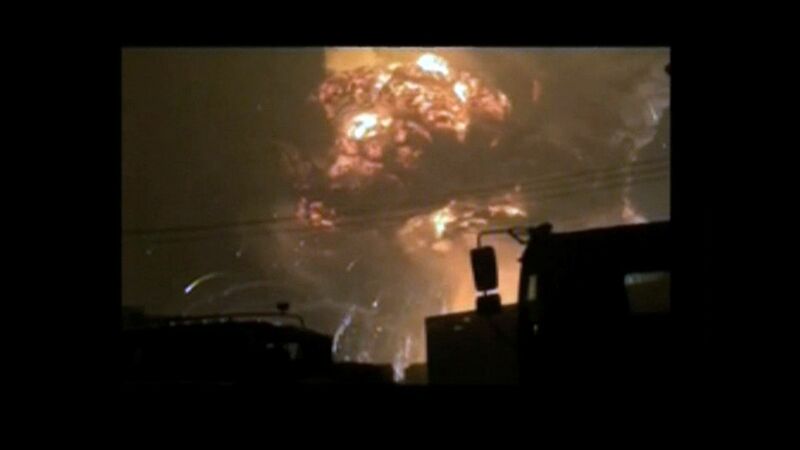 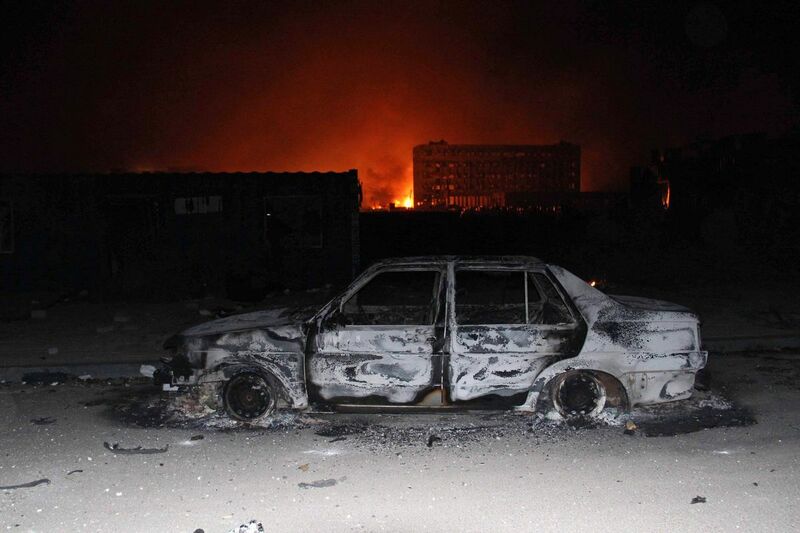 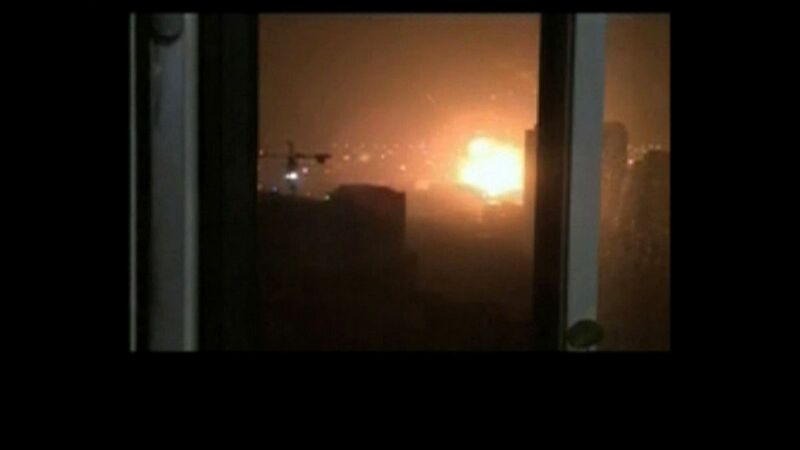 Plumes of smoke still billowed over buildings hours after the blast, which occurred shortly before midnight local time. 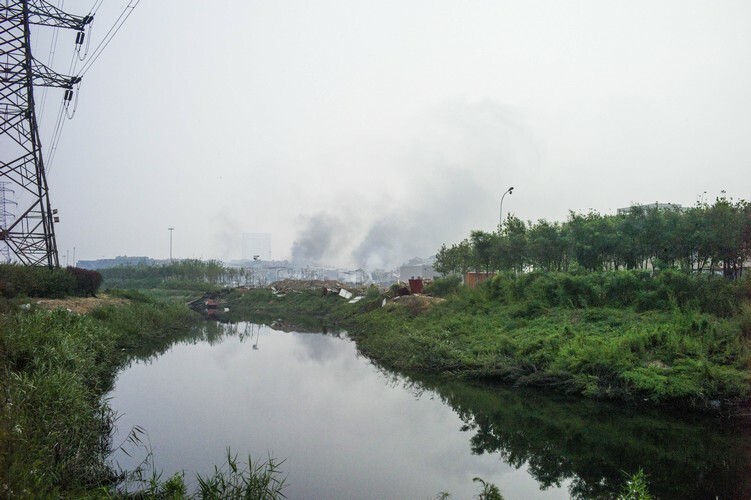 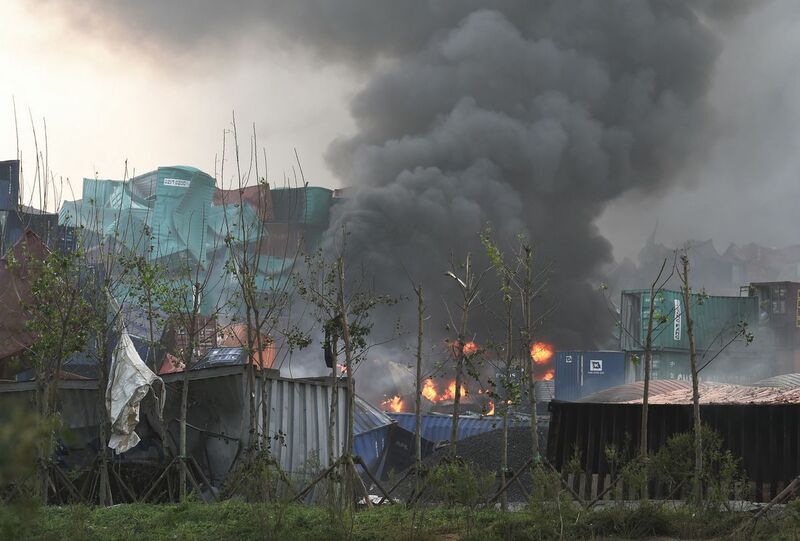 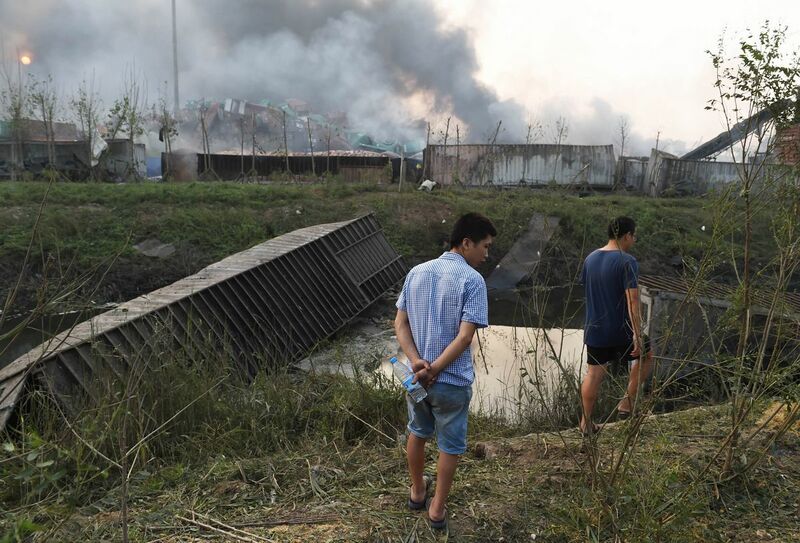 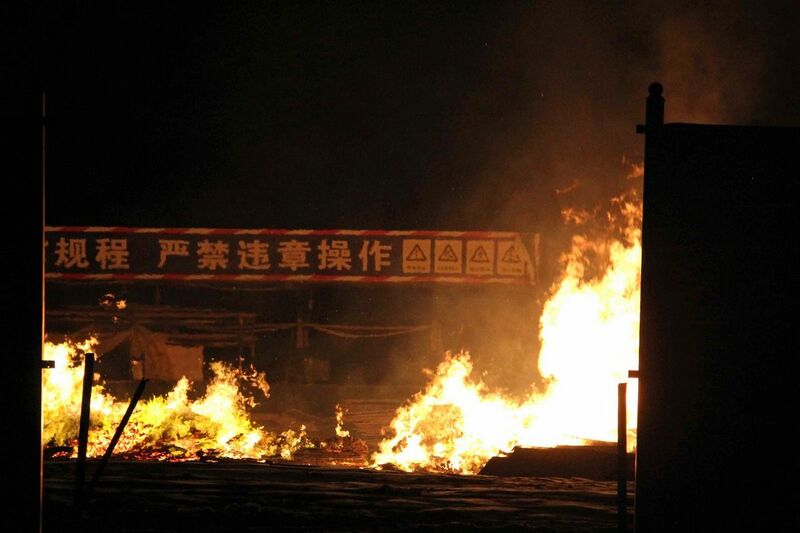 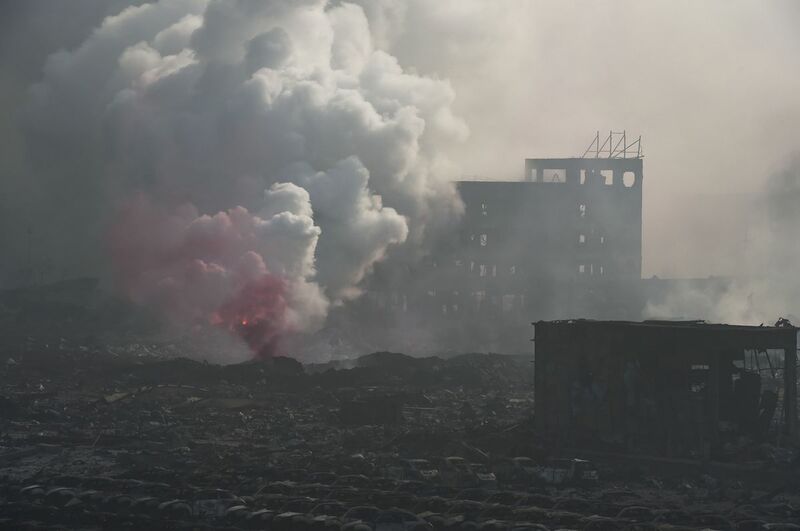 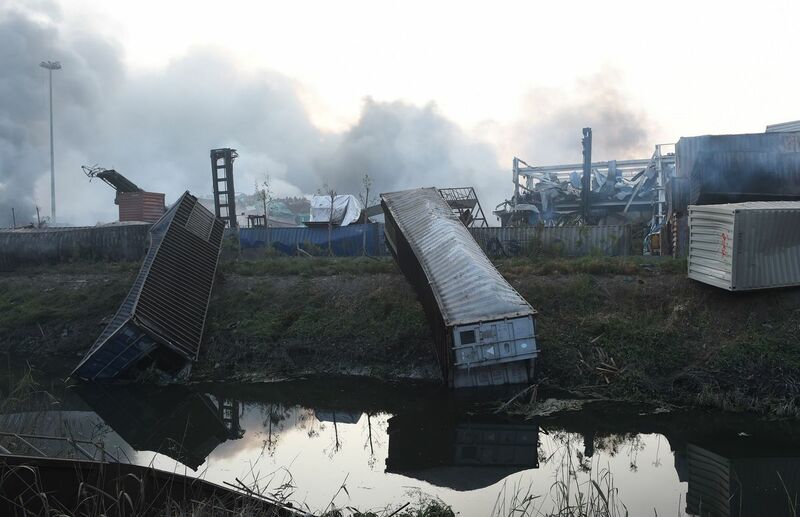 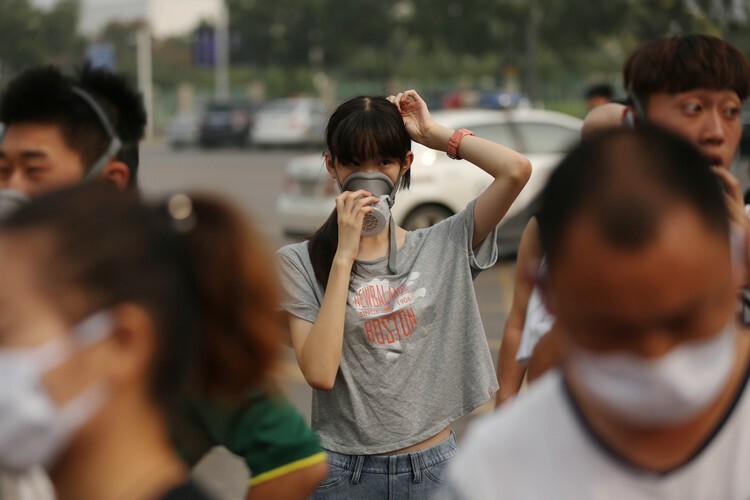 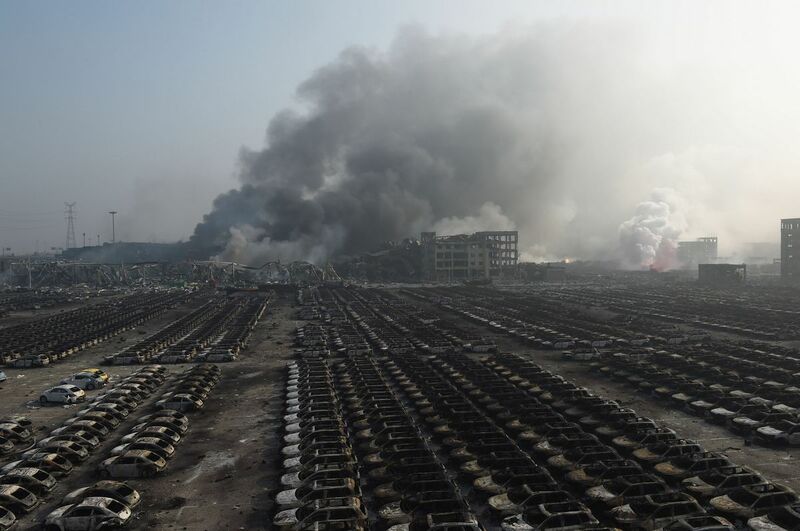 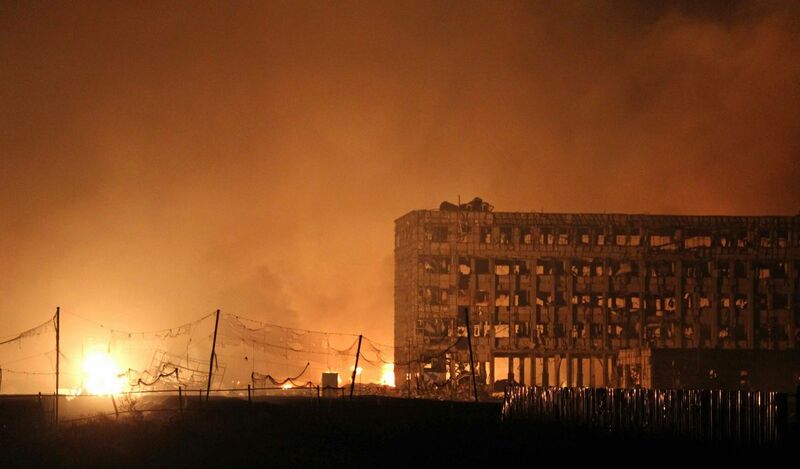 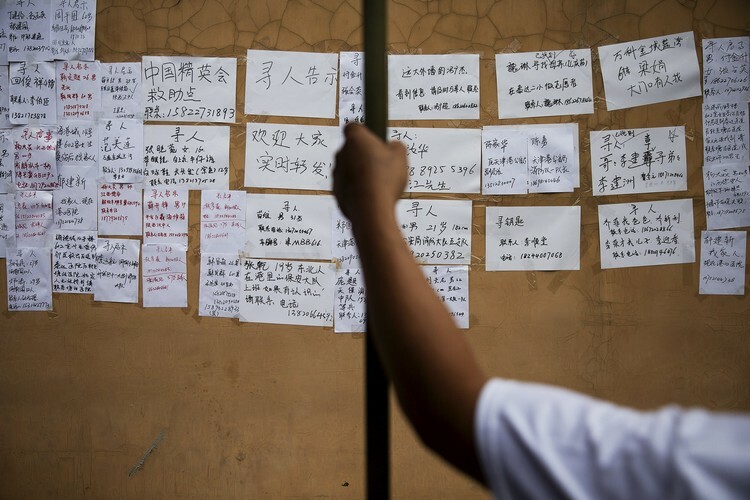 Communist Party newspaper the People's Daily said in a social media post that there were people trapped by the fire, but CCTV said efforts to put out the blaze had been suspended as it was not clear what dangerous items remained in the storage facility. 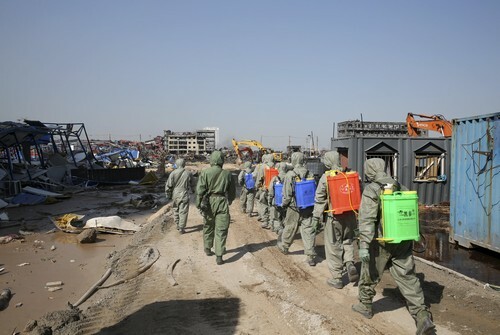 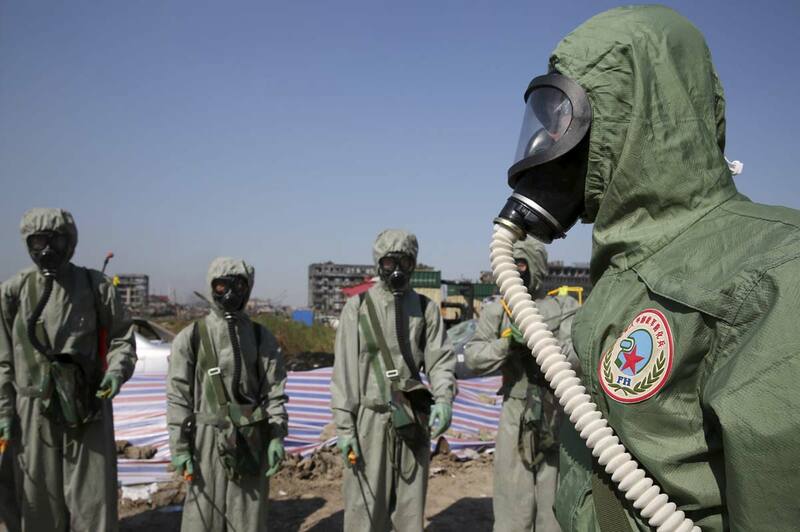 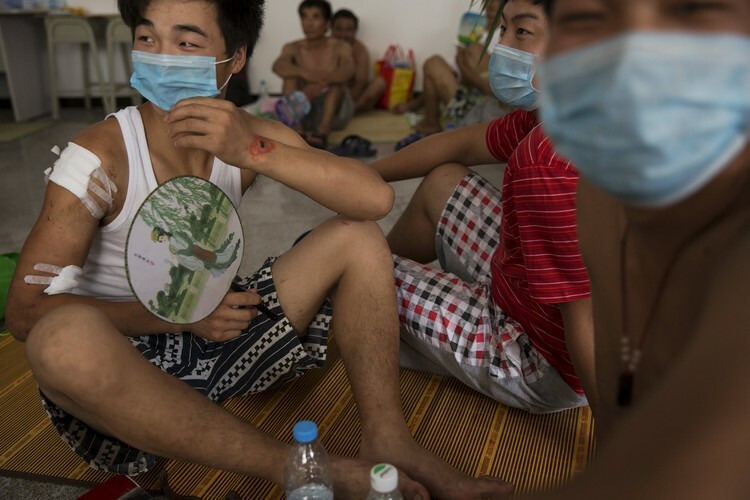 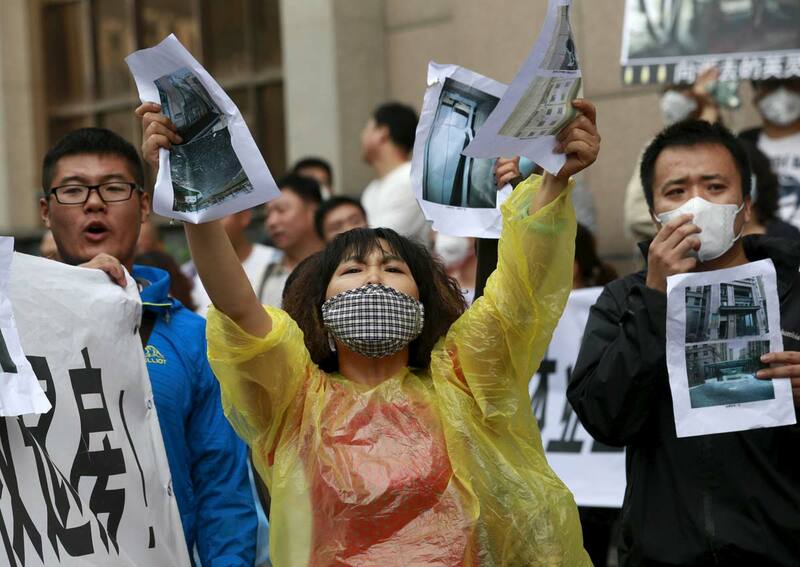 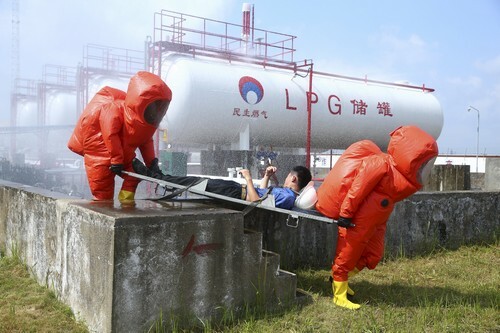 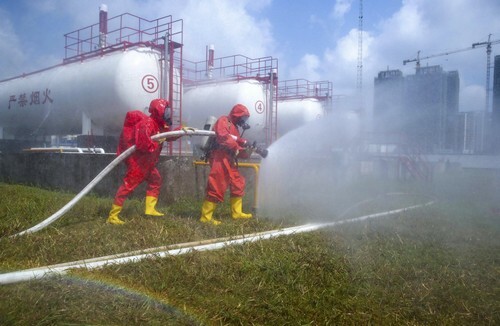 Specialised anti-chemical warfare troops were being sent to the site, the broadcaster added. 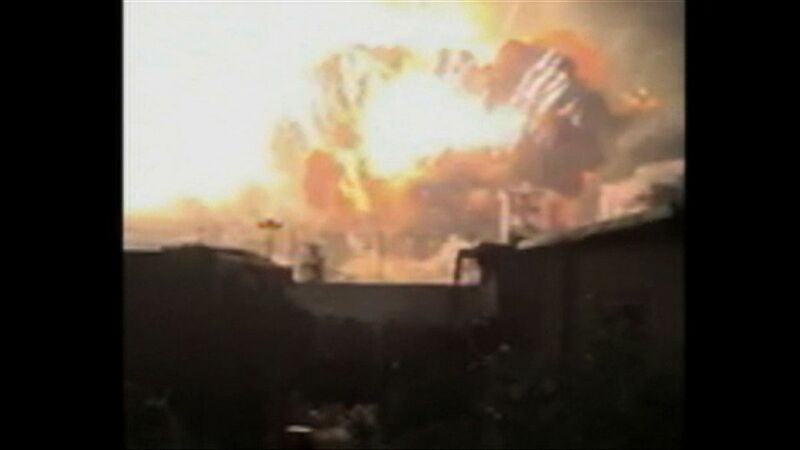 It was not clear what caused the shipment of explosives to detonate inside a storage container. 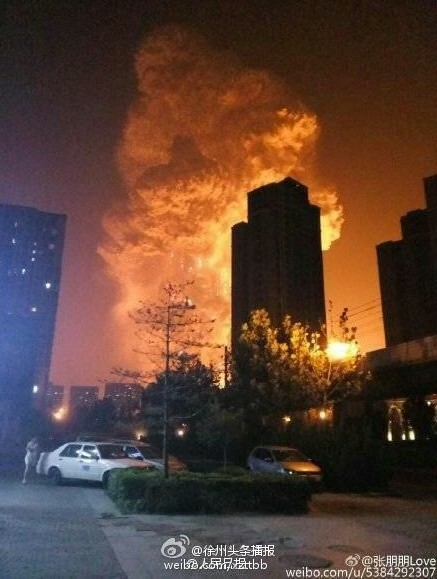 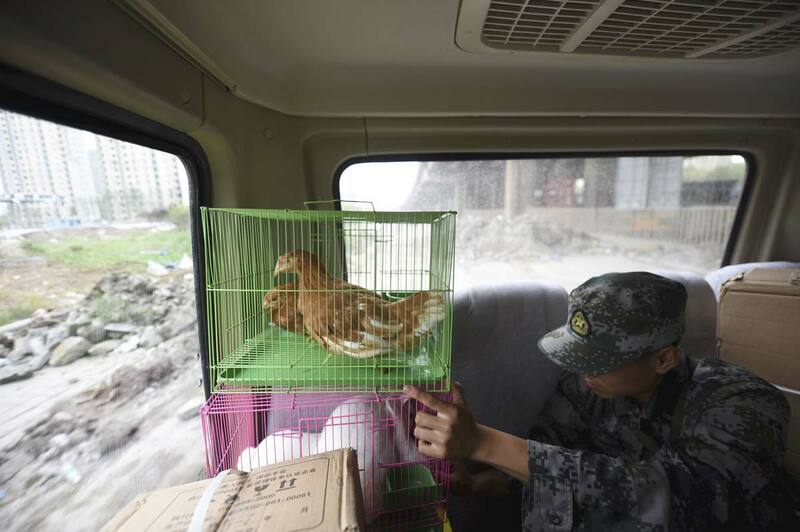 The magnitude of the first explosion was the equivalent of detonating three tonnes of TNT, the China Earthquake Networks Centre said on its verified Weibo account, followed by a second blast equal to 21 tonnes. 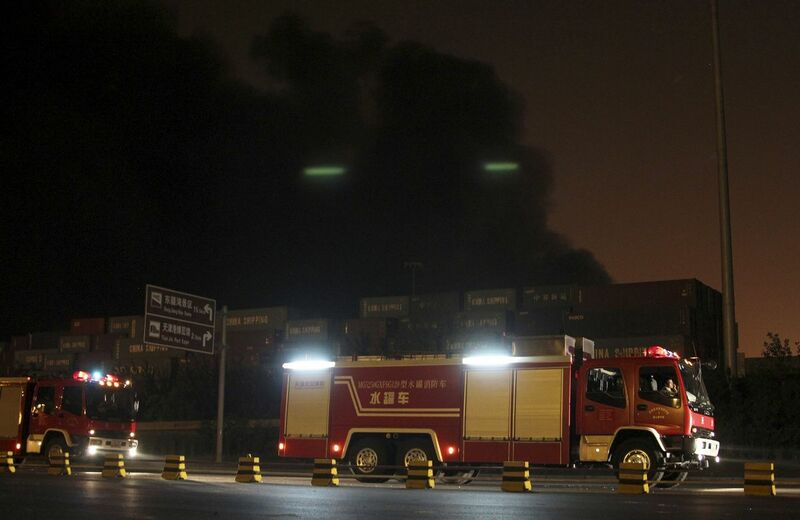 Police took into custody the head of the company involved, Tianjin Dongjiang Port Rui Hai International Logistics, local authorities said. 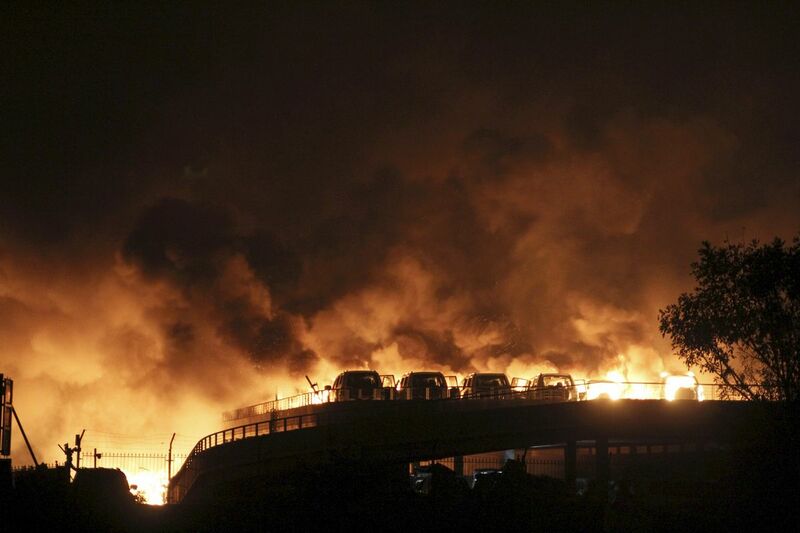 State broadcaster CCTV said in a Twitter post that President Xi Jinping had urged "all-out efforts to rescue victims and extinguish the fire". 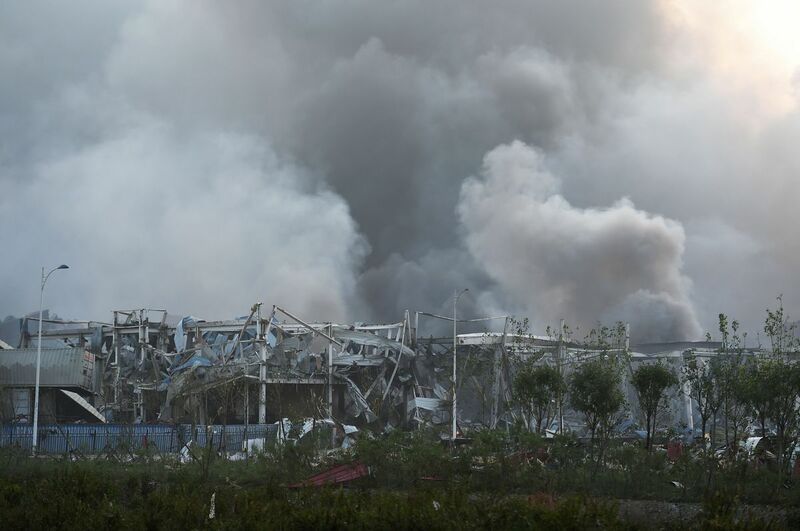 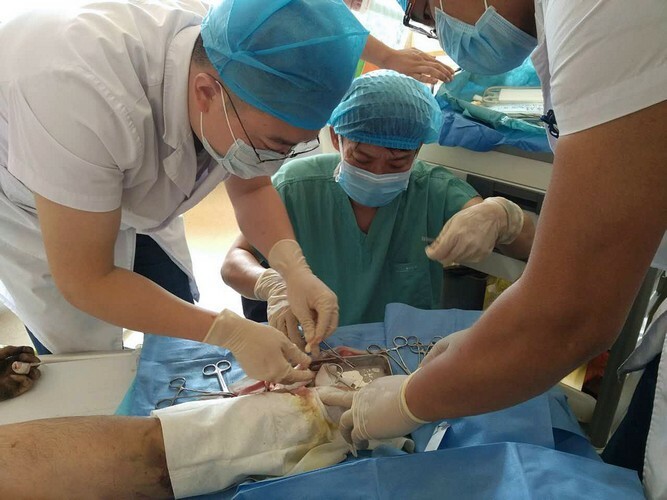 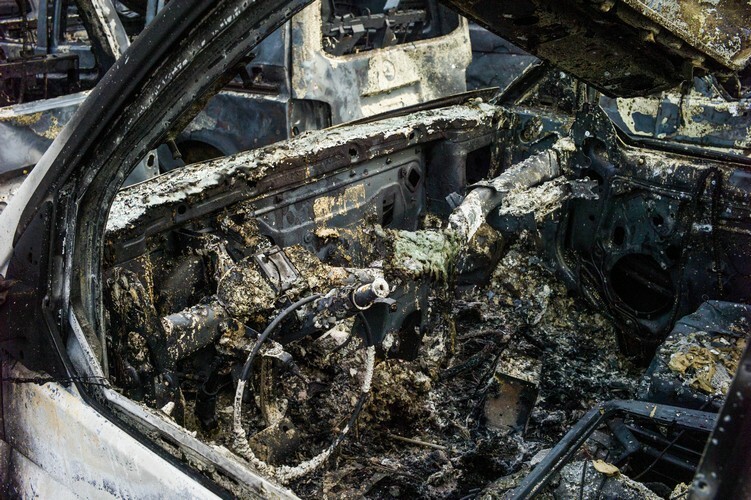 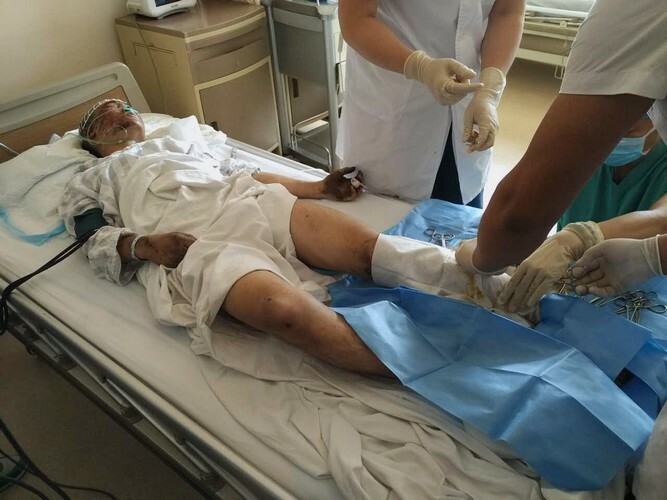 In July this year, 15 people were killed and more than a dozen injured when an illegal fireworks warehouse exploded in northern Hebei province. 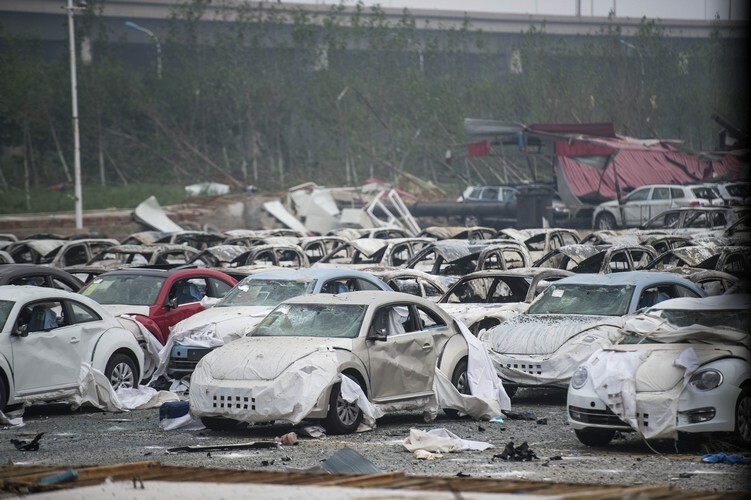 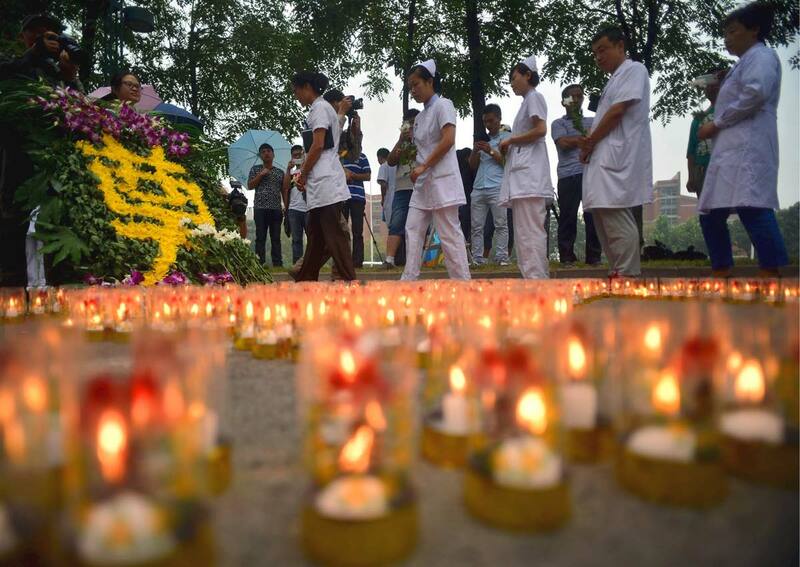 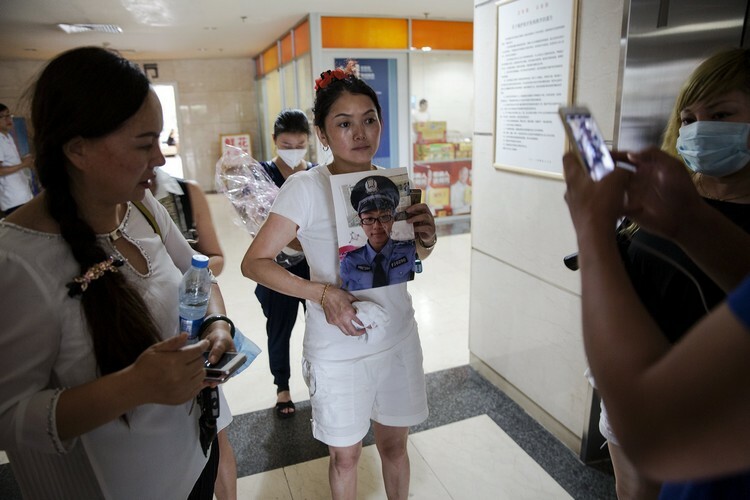 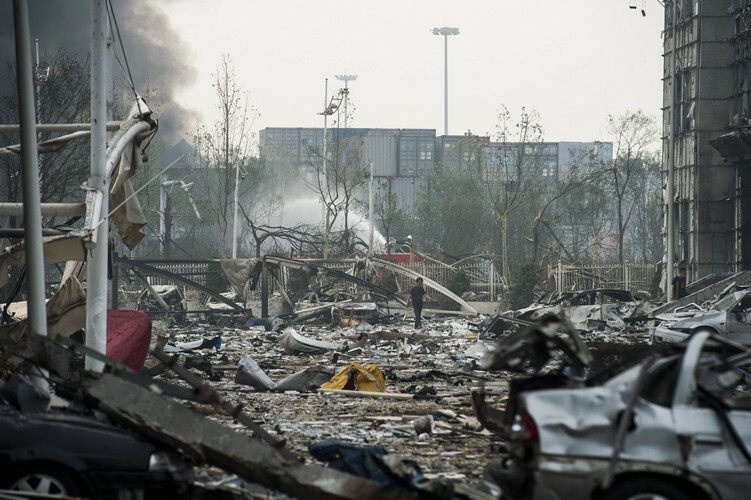 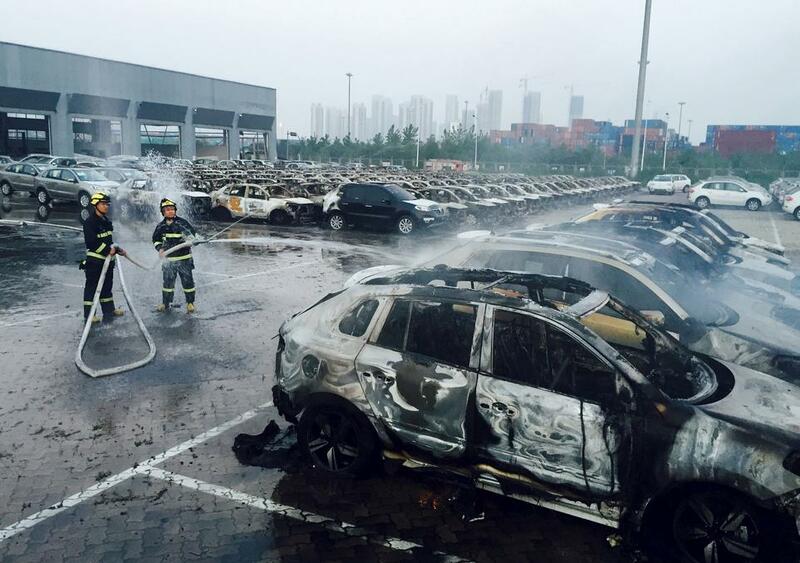 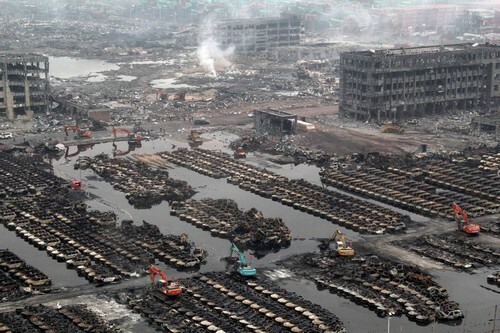 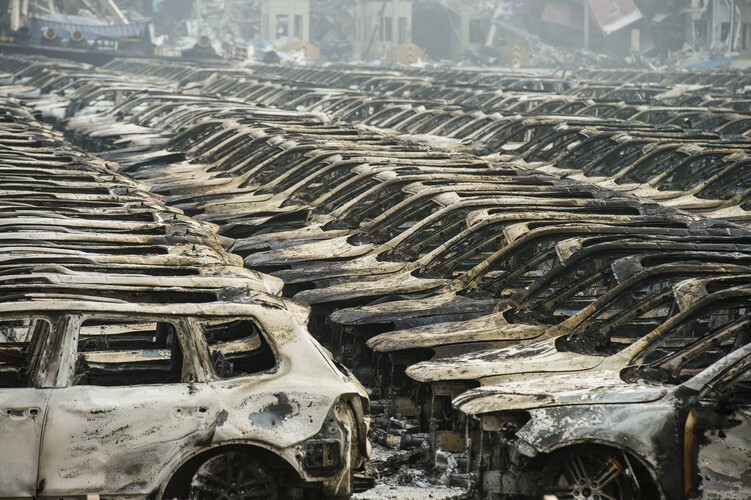 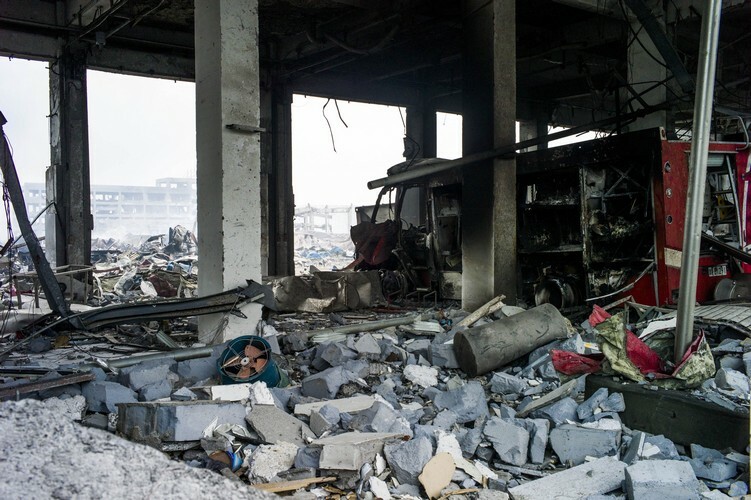 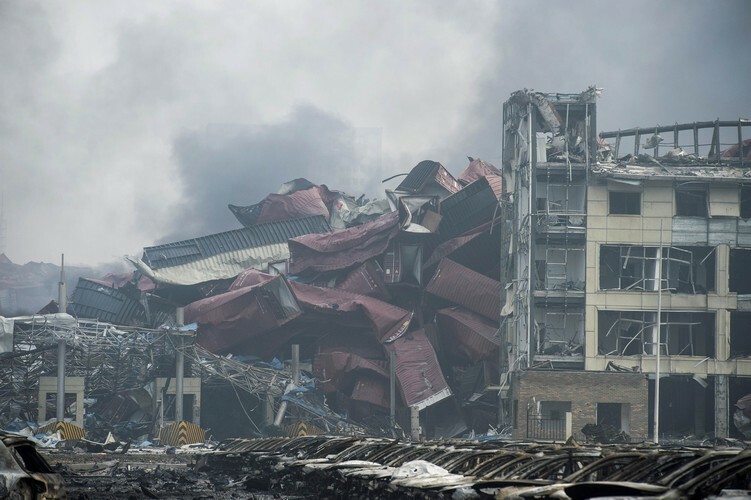 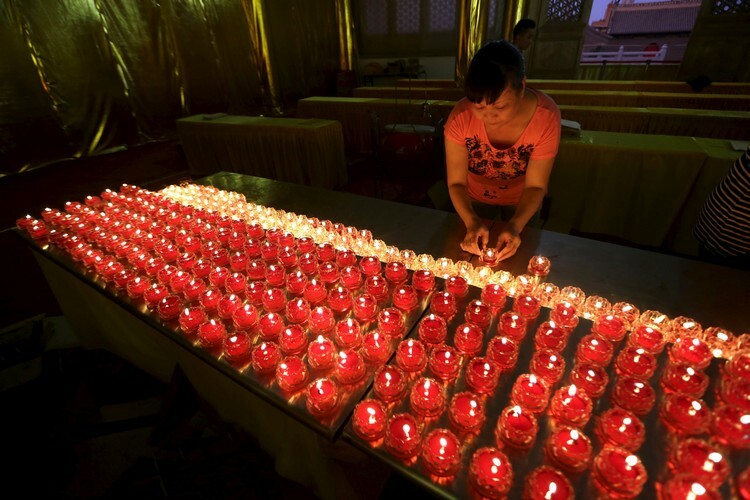 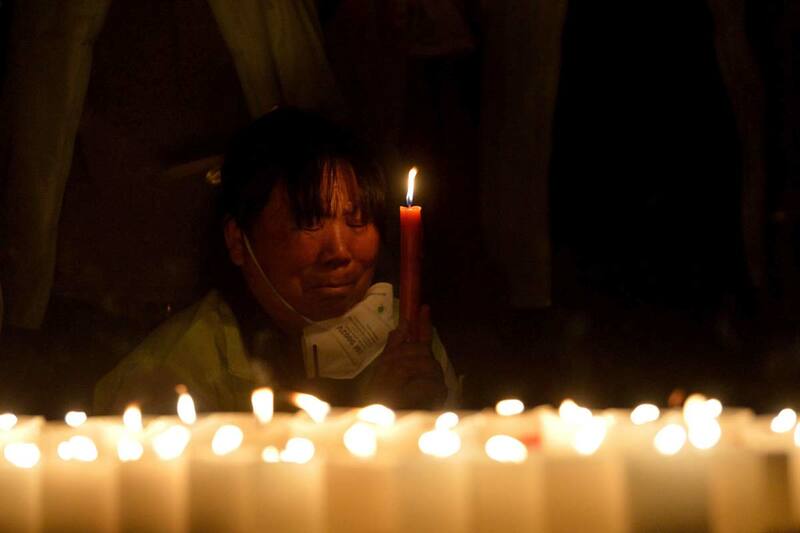 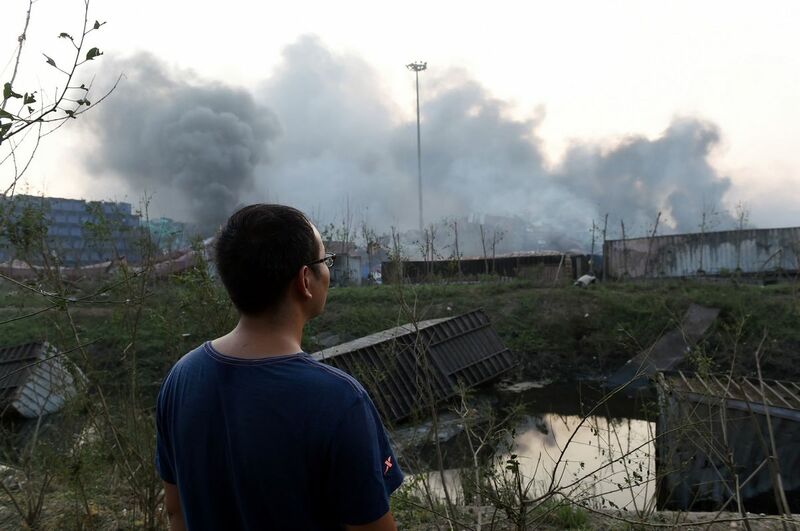 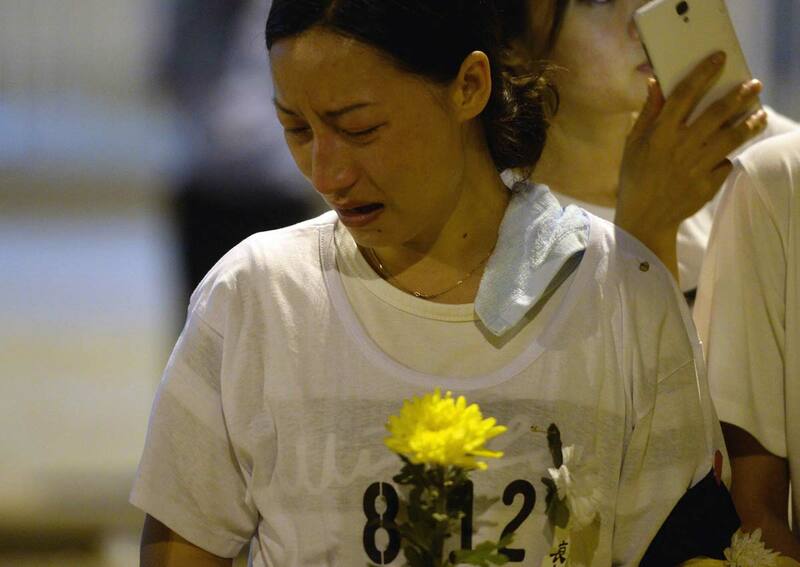 And at least 71 were killed in an explosion at a car parts factory in Kunshan, near Shanghai, in August last year. 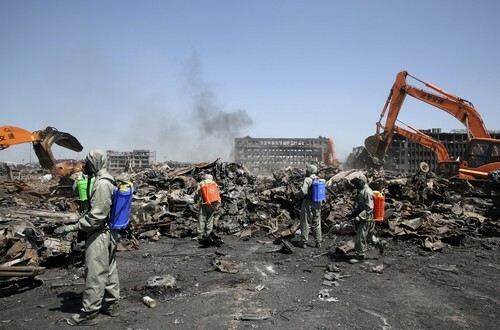 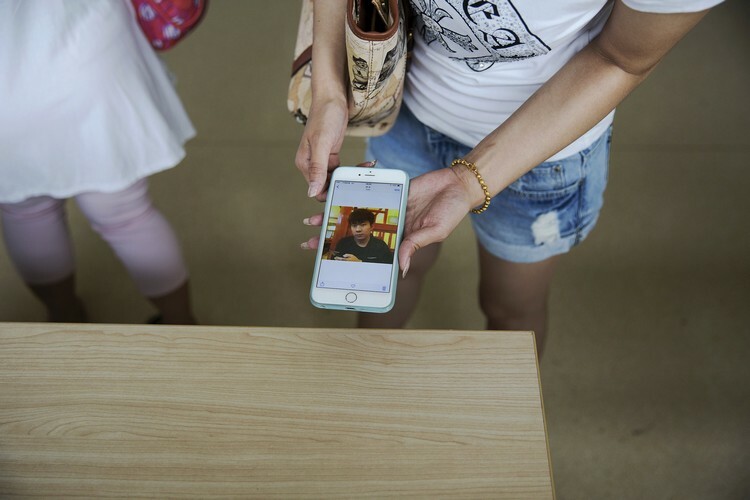 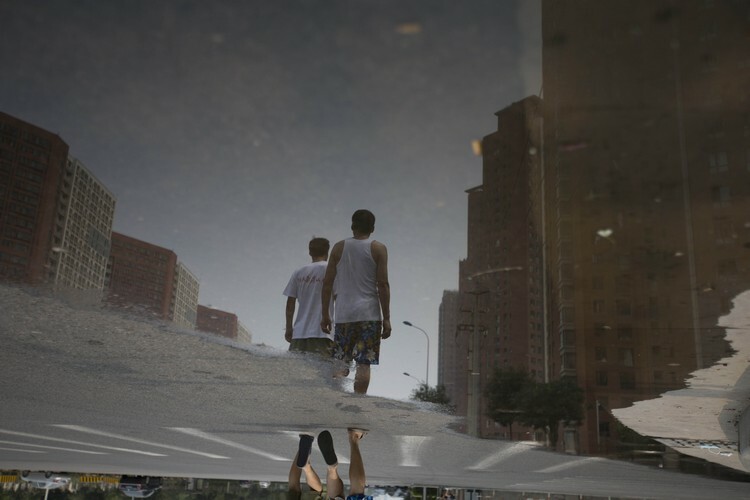 Tianjin, about 140 kilometres (90 miles) southeast of Beijing, is one of China's biggest cities, with a population of nearly 15 million people according to 2013 figures. 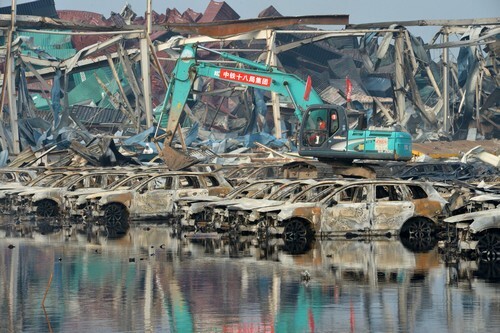 A manufacturing centre and major port for northern China, it is closely linked to Beijing, with a high-speed train line cutting the travel time between them to only 30 minutes. 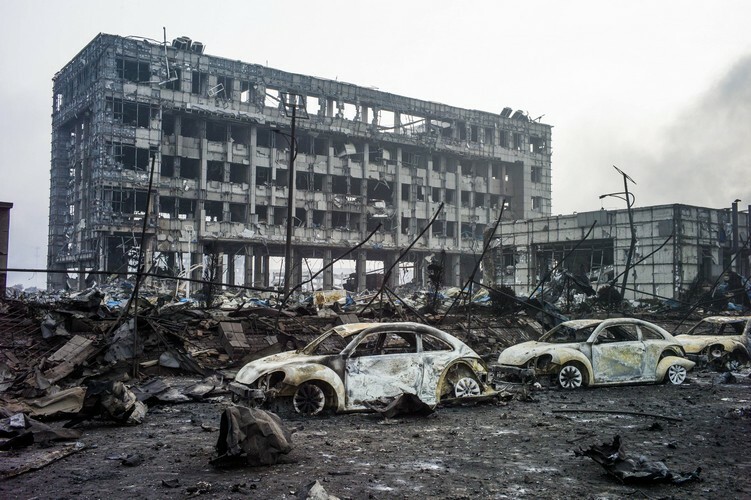 Like Shanghai, several countries were granted trading "concessions" there during the 19th and early 20th centuries - settlements that were administered by a foreign power - starting with Britain and France in 1860. 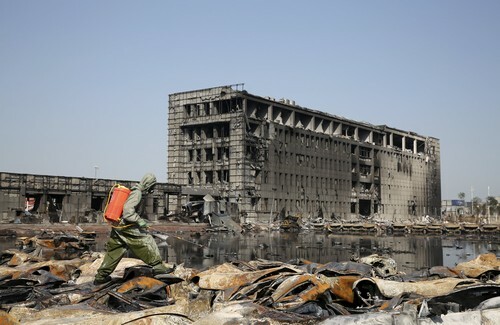 Tianjin's city centre retains a legacy of historic colonial architecture, along with more recent skyscrapers.